I've been a long time subscriber to Sprint mobile services. I've always paid my bills on time via autopay and I'm not one of the top 1% of data users. And to Sprints credit, I could tell with improved data speeds that data speeds were increasing, both in Millbrae and San Mateo. So I never really looked into changing service providers. Until I did and I switched to T-Mobile. Have data with enough download and uploads speeds where I could stream YouTube videos in places I visit the most. If I didn't have service in a location where I visit or pass through less than 5-10 times a year, it didn't both me much. Having enough cell reception for a phone call everywhere I go. Simplicity. I don't want to deal with minutes, data caps, overages, or complicated bills. To be fair to Sprint, they were meeting all aspects of these. But with a family plan with 3 lines, I was paying nearly $60 a line after taxes and fees. So when I saw that I could pay around $38 per line including taxes and fees, I immediately became interested in T-Mobile. I even got price comparisons to other major carriers like Verizon and AT&T. Unfortunately, the price at the other major carriers were also high or onpar with a plan comparable to Sprints $60 per line price for a 3 line plan. We went to the Burlingame T-Mobile store to port our existing numbers to T-Mobile. The process took around approximately an hour. Between purchasing Sim cards ($25 each) to assigning temporary T-Mobile phone number until the porting process is complete. Then from signing contracts and setting up accounts and autopay to get the best price. However, the part that took the longest was the actual porting. Because I purchased my Nexus 6P directly from Google, the phone was already unlocked. However, the other iPhones on the line were purchased directly from Sprint. And though there were off-contract already, the phones were still locked. The Nexus 6P worked almost immediately with the temporary T-Mobile number and within 10 minutes was switched to the ported phone number from Sprint. The other lines both (according to Sprint phone rep) will take 3 days to unlock from Sprint. My suggestion to anyone considering switching and keeping their phone is to make sure the phones are unlocked before heading into T-Mobile (or any other carrier). This will make the process smoother. Your phone can only be unlocked once your contract is up or you don't owe any more money to the carrier for the phone (like a 2 yr contract when you purchased the phone for $200). To expedite the process, let them know you're unlocking the phone for "International Travel" so they don't give you a difficult time. So far, the service in Millbrae has been fairly similar. See the table below on the difference in service offerings from both carriers and so far, it's clear that switching to T-Mobile was a no-brainer that I should have done years ago. Of everything, what I'm looking forward to the most if the wireless hotspot service. From time to time, I take my laptop with me to the park, and hope that I can get Xfinity Wifi. But rarely does that ever happen. I always had Sprint service, but I wasn't ever able to pair it with my laptop for routine web browsing (web development), not streaming. My experience in the first few weeks has been less than stellar, with seemingly less coverage compared to Sprint. In cities like Millbrae, San Mateo, San Jose, Sunnyvale, and Foster City. Outdoors - Reception has been strong and compared to Sprint on par on both signal strength and upload and download speeds. In Buildings (older) - For older buildings, I don't have any problems with signal or upload and download speeds. In Buildings (newer) - However, newer and taller buildings have been bad. By bad, in Foster City, I get no reception (not enough for calls, texts, and data) in most parts of the buliding. Though the reception isn't as good as I like it, I am willing to live it out for a few months to see how the service improves over time. One thing that I noticed that was much better than Sprint is their customer service. 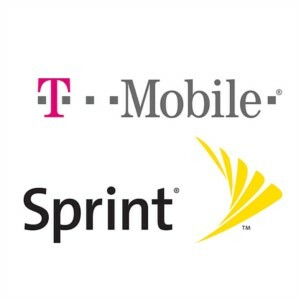 T-Mobiles customer service experience was much better than that of Sprint. For one, it almost felt like I was talking to a friend (someone who I could relate with). Even better, I can schedule calls so that T-Mobile calls me when I schedule them to. The customer service rep at T-Mobile clearly explained answers to my question and quickly solved problems without requiring a call back. Lastly, compared to Sprint's offical Android app, T-Mobile's Android app provides all the information I need and actually negates the need for me to ever log on. Sprint's Android App was fairly useless, out-of-date, and all I wanted to do was uninstall the app. Oddly enough, T-Mobile's Tuesday App is a second app, but in my opinion should just be rolled in with the official Android app. The last thing I need on my phone is app clutter. Just today, John Legere today just announced that T-Mobile won a large swath of low band spectrum. According to his video, this will improve signal building pentatration. Watch his announcement below. Since this spectrum is designed to improve building pentrations. My only hope is that the rollout doesn't take too long (T-Mobile has enough resources to quickly roll out towers) and that my now nearly 2 year old Nexus 6P has the correct radios to support this new spectrum. Everytime John Legere rocks the scene with some crazy new deal, Sprint attempts to match the deal with some new feature. But these new features are only applicable to new customers. Longtime loyal Sprint customers get nothing for being loyal customers, which is what ultimately led me to switch from Sprint to T-Mobile. I only got deals (I believe it was a free iPhone) once the customer service reps realized I was switching. By then, it was too little too late. I was already at the T-Mobile in the midst of changing plans. If Sprint wants to compete, take care of your existing customers while trying to woo over new customers.